As a mother of three young children, Allison has become humbled by the experience of raising her children in a healthy, loving environment, working in a field she loves, while also trying to maintain her sanity. She has had to rely on the expertise of professionals in her community when overcoming challenges with her children such as sleep, behavior, and potty training issues. Her experience raising her family, isolated from her own, was the impetus behind starting Your Village Consulting. Allison has had her own private nutritional counseling and wellness company for the past 7 years. She has counseled individuals and families, conducted group workshops and cooking classes, and spoken at a number of large companies such as Capital One, Frito-Lay, Whole Foods, and State Farm on various nutrition and health related topics. 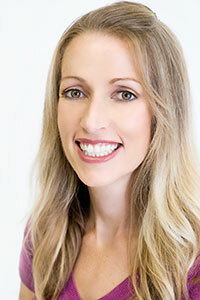 In 2013, she was the recipient of the Austin Birth Awards for Best Nutritionist. She believes in eating clean, unprocessed, natural foods as a way to reach optimal health and wellness. She attended the Institute of Integrative Nutrition in NYC and is certified through Columbia University’s Teachers College. Prior to joining the staff, she worked at Whole Foods Market for six years, most recently as an In-Store Educator and Trainer. Allison holds a B.S. from Skidmore College in Saratoga Springs and a graduate business degree in accounting from the University of Texas at Austin. Allison has always possessed a passion for healthy living. Her own personal struggle with cancer catapulted her passion even further when she realized our food really is our medicine.